Join me today as I welcome Roland Clarke in a jolly mood, reminiscing about his life with – and without – horses. I judge dressage regularly at Borde Hill, Roland; never knew you were so closely involved with eventing there. My book also contains the beat of galloping hooves, albeit in an African setting. But your “Spiral of Hooves” is a joy to read for any horse-lover. I wonder what my grandfather would think about my life. Would he feel that I had ignored his example? Have I failed to make proper use of my private school education? Would he approve of my involvement in crime? Hard to say, but I’m sure that he would be pleased that I hadn’t totally abandoned horses, but then he had predicted that I wouldn’t. I never knew my mother’s father as he died before I was born, so it was my paternal grandfather, Colonel Sir Ralph Stephenson Clarke that tried to encourage me when I was young. He is known in some circles having been a Member of Parliament for 20 years, and for his instrumental role in developing and promoting Borde Hill Garden, which his father created. However, he was also a Master of the Old Surrey & Burstow Foxhounds for many years, so horses were central to his life. So when I was a child, I was encouraged to ride and my first pony was a gray called Long John Silver. I like to think he was Welsh, as I now live in North West Wales, but all I remember is that Long John always got the upper hoof and I spent a good percentage of the ride on the ground. Sometimes it was my lack of balance, but at other points Long John liked to brush along fences and hedges, or turn abruptly. He didn’t live to see his prediction played out, sadly passing away on 9 May 1970, when I was sixteen. But a year later I became besotted with a girl and in my attempt to please her, I took riding lessons. I even got a summer job working in the arena party for international course designer Pamela Carruthers at the All England Jumping Course, Hickstead. There was a moment, having progressed from overalls to a suit, when I dreamed of becoming a designer myself. However, I still failed to prove myself to either the young lady or a horse. Three years later, after an eventful two years at school in Canada, I became a sub-editor at The Field Magazine, which was an opportunity to discover whether I could write… short news items about gallery openings, and edit fishing reports. I did write an article about Hickstead, making use of the contacts that I had made there. However, I was falling asleep in the office, therefore I was pleased when the assistant editor, Derek Bingham, took me with him to Tidworth Three-Day-Event. A cousin was in the British Junior Team Trial so I took photos, which weren’t bad and I sold a few to some of the riders. Photos and more contacts followed, along with a few hectic years taking photographs and selling them out of an old VW micro-bus. The beginning of the descent I suspect – all those cash only deals 😉 – although the horses remained at the end of a telephoto lens. There were meanderings down other paths, like organic fruit & vegetables, and then another horse entered my life, but no young lady. It was an amazing feeling, getting on a horse… and not falling off. We clicked and were able to do things together, like jump. I wanted to buy him. Although his owners, Ken & Annette were showjumpers, the horse was bred to event. But convincing my family was impossible – “You hate horses”, “A horse is a waste of money”, and anyway “You’re like a sack of potatoes”. So one fortunate horse found a better home and achieved great things, with someone else. Maybe a career around horses wasn’t to be. As the saying goes, “Horses for courses”. However, I met a young lady, but not the one with horses, yet – for that scenario to unfold the American west was the place to be, but that’s another tale. Anyway, marriage, politics and film-making kept my boots on the ground and the horses pursuing their own courses. Yet I couldn’t stay away, not when research for a TV documentary provided a chance to interview some riders. And where there is one interview, another follows… and then a newspaper article, and another few inches in print. From local newspaper reports I progressed to a few national magazines, most notably Eventing, for which I became a regular contributor, although I never abandoned the local papers. I discovered that at horse trials over the weekend, I could glean enough information to write about twenty reports a week. 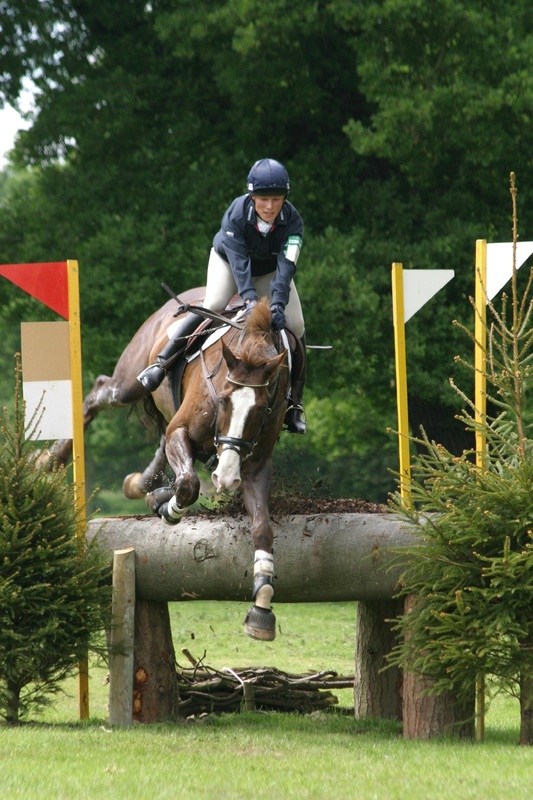 Interspersed with these were feature articles, varying from profiles of top riders, like eventer & showjumper couple Pippa & William Funnell , to investigative articles on topics like doping in equestrian sports. Although I worked with professional photographers, I did take some myself when required. Riders lead hectic lives and have their horse’s welfare in mind, so catching them when they have won can be hard, especially when four sections are receiving their prizes in quick succession. I had to memorise a lot of faces, and blag when I failed to recognise someone. The real art was interviewing riders without the horses stamping their opinion on my toes, although fortunately most prize-givings were horseless. I did get crushed by a small hoof while spending a day with the Kent & Surrey Bloodhounds, but it wasn’t personal – I hope. I did get to ride a horse briefly, when invited to stay with a rider and her partner. Once again, I had the thrill of staying on even going round bends, although I always joked to the friend who bought the mare that I had ruined her. The greatest thrill though was going around two Marathon courses in a four-in-hand team driven by GB squad member Pippa Bassett, hanging on but ecstatic in the suicide seat. My most amusing memory is of an incident when there was an announcement over the loudspeaker telling the rider that needed to recover his mobile, that the Show Secretary had the long veterinary gloves required. What else gets dropped in the port-a-loos? On a more serious note, there was the day at Windsor three-day when all the paparazzi crowded around the water jump waiting for Zara Phillips, hoping she would fall. They were gutted when she jumped clear then fell a few fences later. My photographer colleagues laughed at them, knowing who was taking photos at that fence. I even sold the pictures to the Daily Mail, reassured that Zara and the horse were okay. My photo of Zara Phillips, sold to The Daily Mail. Horses, or at least equestrian sports had become my career – this horse had found his course. I was not only writing, but had helped launch the South East Eventers League and was trying to revive Borde Hill Horse Trials. But my health began to deteriorate and I was diagnosed with multiple sclerosis in 2000. I had to gradually cut back on my commitments, especially when I lacked the energy to attend events and worse, failed to recognise riders. 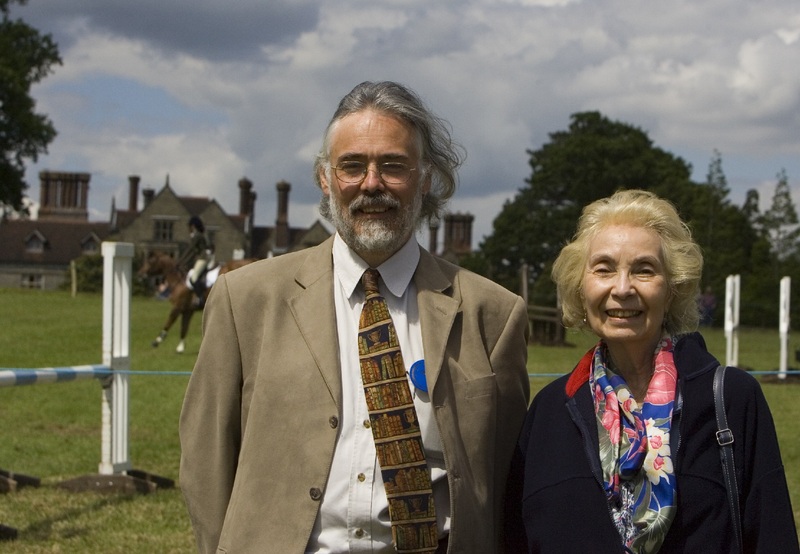 I had to reduce the number of shows I covered, then the articles and finally organising the one thing that my grandfather would have approved of – a horse trials at the family home, Borde Hill. From there I began a Spiral descent into crime, which at least has kept me off the streets. I’m not sure that crime pays, even when mixed with horses, but I’m having a go. What else should a retired journalist do but write about some imagined skulduggery against an eventing world that might resemble the one that sustained me for a few years. However, the sequel to “Spiral of Hooves” is set in the American west – “Tortuous Terrain” has mysteries and deceptions set against endurance riding and barrel racing. And it’s all down to that lady that loves horses, and me – Juanita Clarke, my second wife and soul-mate. We finally met despite the distance between us. Originally from Idaho, Juanita grew up with horses and even introduced me to western riding. Riding western was my last fantastic experience on a horse, before I had to accept that a wheelchair was my current mode of transport. But maybe our new life in Wales promises more than hoses watering a wonderful array of roses… perhaps there will be horses, pulling a four wheel chariot – with scythes. Watch out neighbours. This entry was posted in Authors and tagged All England Jumping Course, Borde Hill, Hickstead, Kent & Surrey Bloodhounds, Pamela Carruthers, Pippa Bassett, The Field Magazine, Zara Phillips. Bookmark the permalink. Many thanks Jane for the chance to ramble around my past. Think we were in different areas of the park at Borde Hill most of the time – belated thanks for your dressage skills. That’s a really interesting article Roland. Lovely to see the photo of you with your mother. Glad you still have connections with your family home. Thanks Erica. Going to be harder staying connected from Wales, but then people keep finding me again, which is wonderful. Great memories of TW too.. and inspirational writing.